Is Jesus’ Grace Sufficient in Mormonism? 6th President Joseph F. Smith: “You must not only believe, but you must obey and do the things that [God] commands. You must not only do that, but you must give your heart, your affection and your whole soul with a willing mind to God. You must give up your will to the will of the Father, and you must do all things that He requires at your hands, if you will be saved and exalted in His presence” (Teachings of Presidents of the Church: Joseph F. Smith, p. 244). 8th President George Albert Smith: “Being a member of the Church and holding the Priesthood will not get us anywhere unless we are worthy. The Lord has said that every blessing that we desire is predicated upon obedience to His commandments. We may deceive our neighbors, and we may deceive ourselves with the idea that we are going through all right, but unless we keep the commandments of our Heavenly Father, unless we bear worthily this holy Priesthood that is so precious, we will not find our place in the celestial kingdom” (Teachings of Presidents of the Church: George Albert Smith, p. 53). 11th President Harold B. Lee: “He has given us in another revelation the formula by which we can prepare ourselves as the years pass. ‘Verily, thus saith the Lord: It shall come to pass that every soul who forsaketh his sins and cometh unto me, and calleth on my name, and obeyeth my voice, and keepeth my commandments, shall see my face and know that I am’ (D&C 93:1). Simple, isn’t it? But listen again. All you have to do is to forsake your sins, come unto Him, call on His name, obey His voice, and keep His commandments, and then you shall see His face and shall know that He is” (The Teachings of Presidents of the Church: Harold B. Lee, p. 34). 12th President Spencer W. Kimball: “There are . . . many members of the Church who are lax and careless and who continually procrastinate. They live the gospel casually but not devoutly. They have complied with some requirements but are not valiant. They do no major crime but merely fail to do the things required—things like paying tithing, living the Word of Wisdom, having family prayers, fasting, attending meetings, serving.” (Teachings of Presidents of the Church: Spencer W. Kimball, p. 8. Ellipsis in original.). 16th President Thomas S. Monson: “Don’t put your eternal life at risk. Keep the commandments of God” (Thomas S. Monson, “Preparation Brings Blessings,” Ensign, May 2010, p. 66). Seventy Bruce Hafen: “If we must give all that we have, then our giving only almost everything is not enough. If we almost keep the commandments, we almost receive the blessings” (Seventy Bruce C. Hafen, “The Atonement: All for All,” Ensign (Conference Edition), May 2004, p. 98. Italics in original). Church Manual: “Have class members find and read Moroni 10:32. According to this verse, what must we do to ‘come unto Christ, and be perfected in him’? (‘Deny [ourselves] of all ungodliness, and love God with all [our] might, mind and strength.’) Explain that ‘deny yourselves of all ungodliness’ means ‘give up your sins.’ We must strive to give up our sins and demonstrated that we love God with all our might, mind, and strength. If we do this throughout our lives, then Jesus Christ, through his Atonement, will help us become perfect” (Preparing for Exaltation Teacher’s Manual, p. 123). “Even when, from a purely human perspective, perfection can appear an impossible challenge to achieve, I testify that our Father and our Savior have made known to us that it is possible to achieve the impossible. Yes, it is possible to achieve eternal life. Yes, it is possible to be happy now and forever” (Seventy Jorge F. Zeballos, “Attempting the Impossible,” Ensign (Conference Edition), November 2009, p. 35). “Being perfect means to triumph over sin. This is a mandate from the Lord. He is just and wise and kind. He would never require anything from his children which was not for their benefit and which was not attainable. Perfection therefore is an achievable goal” (p. 209). With quotes like these—besides The Miracle of Forgiveness, all come from current church manuals that have been studied regularly over the past decade—no wonder this student was so concerned. Indeed, she does not sound like a student who was looking for loopholes; instead, she appears to be very sincere. When Spencer Kimball says that his membership might not do “major crime but merely fail to do the things required—things like paying tithing, living the Word of Wisdom, having family prayers, fasting, attending meetings, serving,” perhaps she was thinking about that clandestine cup of coffee or only paying five percent for her tithe and realizing she didn’t meet the obligation placed upon her by her church. What a heavy burden she has! “Because it is very difficult to become perfect, our Father helps us. He has established the Church; called leaders; and given us commandments, principles, and ordinances. In our Church meetings we receive instructions concerning these things. We must obey and live according to God’s laws to become perfect.” (The Latter-day Saint Woman Part A, p. 122). ”Our salvation depends on believing in and accepting the Atonement (Mosiah 4:6-7). Such acceptance requires a continual effort to understand it more fully. The Atonement advances our mortal course of learning by making it possible for our natures to become perfect. All of us have sinned and need to repent to fully pay our part of the debt. When we sincerely repent, the Savior’s magnificent Atonement pays the rest of that debt” (James E. Faust, “The Atonement: Our Greatest Hope,” Ensign (Conference Edition), November 2001, p. 18. Italics in original). According to Wilcox, the motive for doing the right things is based on selfish motivation. Getting a resurrected body and having comfort in our eternal future seems to be more important than glorifying God Himself. Christ asks us to show faith in Him, repent, make and keep covenants, receive the Holy Ghost, and endure to the end. By complying, we are not paying the demands of justice—not even the smallest part. Instead, we are showing appreciation for what Jesus Christ did by using it to live a life like His. Justice requires immediate perfection or a punishment when we fall short. Because Jesus took that punishment, He can offer us the chance for ultimate perfection (see Matthew 5:48, 3 Nephi 12:48) and help us reach that goal. He can forgive what justice never could, and He can turn to us now with His own set of requirements (see 3 Nephi 28:35). “A covenant is a two-way promise, the conditions of which are set by God. When we enter into a covenant with God, we promise to keep those conditions. He promises us certain blessings in return. When we receive these saving ordinances and keep the associated covenants, the Atonement of Jesus Christ becomes effective in our lives, and we can receive the great blessing God can give us—eternal life (see D&C 14:7). Because keeping our covenants is essential to our happiness now and to eventually receiving eternal life, it is important to understand what we have promised our Heavenly Father” (“Understanding our Covenants with God,” Ensign, July 2012, p. 22). Elaine Dalton explained, “When you renew your covenants each week by partaking of the sacrament, you covenant that you will always remember the Savior and keep His commandments” (“At All Times, in All Things, and in All Places,” Ensign (Conference Edition), May 2008, p.117). “Within the gospel, a covenant means a sacred agreement or mutual promise between God and a person or a group of people. In making a covenant, God promises a blessing for obedience to particular commandments. He sets the terms of His covenants, and He reveals these terms to His prophets. If we choose to obey the terms of the covenant, we receive promised blessings. If we choose not to obey, He withholds the blessings, and in some instances a penalty also is given” (Gospel Principles, 2009, p. 81). A mortgage is still a debt. When someone asks if I own my own home, I may say “yes” even though, technically, the mortgage company does. If I stop paying the mortgage for the next six months, I will lose my home. Whether a person pays rent or mortgage, it is still a required debt. According to Wilcox’s illustration, personal effort is required. If the child doesn’t practice, it comes back to the individual and what a person can get out of it, which in this case is living at a higher level. How does a person get to the Celestial Kingdom? It is by keeping celestial law, which is described in D&C 88. Wilcox says that the person’s life could be so much better if only he or she chose “to live on a higher plane.” But this totally misses the point emphasized in the Bible, as the true believer is justified by faith alone (Rom. 3:28; Eph. 2:8-10). There are only two types of individuals: forgiven or unforgiven. Those who are forgiven can know that their sins are washed away and they have eternal life because of their faith in Jesus (1 John 5:13). Those who are unforgiven have not received this free gift. It’s not about living on higher planes. “We grow in two ways—removing negative weeds and cultivating positive flowers. The Savior’s grace blesses both parts—if we do our part. First and repeatedly we must uproot the weeds of sin and bad choices. It isn’t enough just to mow the weeds. Yank them out by the roots, repenting fully to satisfy the conditions of mercy. But being forgiven is only part of our growth. We are not just paying a debt. Our purpose is to become celestial beings. So once we’ve cleared our heartland, we must continually plant, weed, and nourish the seeds of divine qualities” (“The Atonement: All for All,” Ensign (Conference Edition), May 2004, p. 97). Notice some important points to these words. “If we do our part,” he says, then the grace of God can bless the person. This is done by “uprooting the weeds of sin and bad choices,” “yanking them out by the roots.” It is up to the individual to “clear the heartland” and “continually plant, weed, and nourish the seeds of divine qualities.” But earlier, wasn’t Wilcox telling the girl that Jesus paid it all? Once more, the message does not clarify, only confuses. “My brothers and sisters, we should all be proud of our progenitors. Some of us forget however, that as someone rightly said no matter how tall your grandfather was, you have to do your own growing. So it is in this great Church-we all must realize that salvation is an individual matter, that none of us can be taken into the celestial kingdom on the backs of others. We must earn our own position, both here and hereafter. It is not merely an acknowledgment that God lives and that this is the Church of Jesus Christ that will save us, but the application of that knowledge in good works” (Elray L. Christiansen (Assistant to the Quorum of the Twelve, Conference Reports, October 1952, pp. 53-54). “By obedience to God’s commandments, we can qualify for that ‘house’ spoken of by Jesus when He declared: “In my Father’s house are many mansions. … I go to prepare a place for you … that where I am, there ye may be also” (John 14:2-3)” (Thomas S. Monson, “An Invitation to Exaltation,” Ensign (Conference Edition), May 1988, p. 54. Ellipses in original). Wilcox makes it appear that Christians believe that salvation by grace (justification) nullifies the need for good works. This is a straw man fallacy and an assumption that is not even close to being true. For instance, immediately after Paul says that we are saved by grace, not works, in Ephesians 2, he adds that we are “God’s workmanship, created in Christ Jesus to do good works, which He prepared in advance for us to do.” This certainly does not have an antinomian feel to it! Neither does James 2:20 and 26, which says that faith without works is dead. We don’t want to give the impression that good works along with the fruit of the Spirit are not vital for the godly believer; at the same time, we must be very careful to carelessly merge grace with works. Faith plus nothing equals a right standing before God. Sanctification—or living righteously in a holy manner—is a result of a changed life from the inside out. SALVATION AND A CUP OF TEA. You cannot neglect little things. ‘Oh, a cup of tea is such a little thing. It is so little; surely it doesn’t amount to much; surely the Lord will forgive me if I drink a cup of tea. Yes, he will forgive you, because he is going to forgive every man who repents; but, my brethren, if you drink coffee or tea, or take tobacco, are you letting a cup of tea or a little tobacco stand in the road and bar you from the celestial kingdom of God, where you might otherwise have received a fulness of glory?” (Doctrines of Salvation 2:16). Apostle Bruce R. McConkie wrote, “Salvation comes by obedience to the whole law of the whole gospel. Joseph Smith said: ‘Any person who is exalted to the highest mansion has to abide a celestial law, and the whole law too.’ (Teachings, p. 331.) Thus, a man may be damned for a single sin” (Doctrinal New Testament Commentary 3:256). Can anyone imagine a Jesus not allowing someone to attain a “fullness of glory” because they imbibed in a hot drink? Or a single sin that “damns” a human being? (What kind of God is this, anyway?!) This type of deity is certainly not what is portrayed in the talk given by Wilcox. In addition, Jesus will not beg people into heaven. In fact, this picture of a pleading Jesus is offensive to anyone who has a proper understanding of salvation as described in the Bible. The problem is, it’s impossible to “endure to the end” or do the things that Mormon leaders say must be done. Christians who have had a work done inside through their faith in Jesus have been totally transformed. As 2 Corinthians 5:17puts it, “Therefore, if anyone is in Christ, the new creation has come: The old has gone, the new is here!” This work in a person’s life is accomplished before any good works have been performed! The student’s original problem was that she wasn’t able to perform the things she needed to do, as she felt her church taught her. In her current state, she knew she was not worthy to attain a celestial glory. As we have seen throughout this review, LDS leaders have made it clear that obedience is mandated. If you fail at playing a note, you must do better the next time. Yet, this woman admitted, she was not getting better at her notes; she was constantly failing. She, not Wilcox, understands just what is at stake in the Mormon offering. No matter how much he tries to simplify and even gloss over what LDS leaders have taught, the evidence says that a Mormon cannot be merely “content with progress in the right direction.” Instead, when failure happens, a correction must take place. Again, where did these missionaries get their perspective? They were so dedicated, studying their church’s doctrines for up to two years. When Mormonism is looked at closely, there really is little hope in the teachings of this works-based religion. “Any member of the Church who is learning to live perfectly each of the laws that are in the kingdom is learning the way to become perfect. There is no member of this Church who cannot live the law, every law of the gospel perfectly” (The Teachings of Presidents of the Church: Harold B. Lee, p. 33). So which is it? Will God allow a person who drank coffee, didn’t get married in the temple, and watched sports on the Sabbath to enter the celestial kingdom? Or not? “The perfect relationship between the atoning grace of Christ and the obedient efforts of mankind is powerfully stated by Nephi: ‘We know that it is by grace that we are saved, after all we can do’ (2 Nephi 25:23). Furthermore, we are invited to ‘come unto Christ, and be perfected in him.’ When we deny ourselves ‘of all ungodliness,’ then and only ‘then is his grace sufficient’ for us (Moroni 10:32)” (“Plain and Precious Truths Restored, Ensign, October 2006, p. 53). How did this man get the idea that it is “no work, no grace”? Once more, it comes from the leadership. According to Mormonism, how does a person receive the ability to receive the grace? By keeping the covenants! The proverbial straw man is trotted out once more, as if Evangelical Christians don’t believe in good works. Of course we do! We just don’t believe good works are required to bring a person into a saving relationship with God. The Mormon gospel is not synonymous with the gospel as described by the New Testament. While Wilcox doctors up the teaching of Mormonism, attempting to make Mormonism’s grace as biblical as possible, the view on salvation is not the same as biblical Christianity. “Have class members find and read Moroni 10:32. According to this verse, what must we do to ‘come unto Christ, and be perfected in him’? (‘Deny [ourselves] of all ungodliness, and love God with all [our] might, mind and strength.’) Explain that ‘deny yourselves of all ungodliness’ means ‘give up your sins.’ We must strive to give up our sins and demonstrated that we love God with all our might, mind, and strength. If we do this throughout our lives, then Jesus Christ, through his Atonement, will help us become perfect” (Preparing for Exaltation Teacher’s Manual, p. 123). “The gospel is a program of action—of doing things. Man’s immortality and eternal life are God’s goals (Moses 1:39). Immortality has been accomplished by the Savior’s sacrifice. Eternal life hangs in the balance awaiting the works of men. This progress toward eternal life is a matter of achieving perfection. Living all the commandments guarantees total forgiveness of sins and assures one of exaltation through that perfection which comes by complying with the formula the Lord gave us” (Spencer W. Kimball, The Miracle of Forgiveness, pp. 208-209). No wonder why this student was so concerned about her failures! From what has been provided, she does not sound like a student who was looking for loopholes in the Mormon lawbook; instead, she appears to be very sincere. While she probably didn’t consider herself a bad person, she probably had read Kimball’s words that she “merely fail(ed) to do the things required—things like paying tithing, living the Word of Wisdom, having family prayers, fasting, attending meetings, serving.” Maybe her penchant for stopping by Starbucks or only paying five percent for her tithe made her realize that she didn’t meet the obligation placed upon her by her church. What a heavy burden to bear! The motive provided by Wilcox for why the right things ought to be done is based purely on selfish motivation. Getting a resurrected body and having comfort in an eternal future seems to be more important than glorifying God Himself. “When you renew your covenants each week by partaking of the sacrament, you covenant that you will always remember the Savior and keep His commandments” (“At All Times, in All Things, and in All Places,” Ensign (Conference Edition), May 2008, p. 117). We must understand that a mortgage is still a debt. When someone asks if I own my own home, I may say “yes” even though, technically, the mortgage company controls the paperwork. If I stop paying the mortgage for the next six months, I will lose my home, as I do not “own” it. Whether a person pays rent or mortgage, a debt is still owed. But what if somebody paid for the mortgage for you to have. Ahh, now we have what is called a “gift.” If I receive a valuable home, with no strings attached, I will be very grateful. When a person receives such a gift, gratitude is a natural response. We will take care of this home, sans mortgage payment and all. This is like justification by faith alone, as we receive salvation as a gift, and when we understand the price that was paid for it, we will treasure it and not desire to demean the benefactor. According to Wilcox’s illustration, personal effort is required for salvation. Using the piano illustration, the child who doesnt’ practice will not receive the benefit, which is playing at a higher level. In essence, the debt must be paid, which is not really a gift at all. According to the LDS leadership, how does a person get to the Celestial Kingdom? It is by keeping celestial law, which is described in D&C 88. Wilcox says that the person’s life could be so much better if only he or she chose “to live on a higher plane.” But this philosophy totally misses the point emphasized in the Bible, as the true believer is justified by faith alone (Rom. 3:28; Eph. 2:8-10). There are only two types of individuals: forgiven or unforgiven. Those who are forgiven can know that their sins are washed away and they have eternal life because of their faith in Jesus (1 John 5:13). Those who are unforgiven have not received this free gift. It has nothing to do with living on higher planes. Notice some important points to these words. “If we do our part,” he says, then the grace of God can bless the person. This is done by “uprooting the weeds of sin and bad choices,” “yanking them out by the roots.” It is up to the individual to “clear the heartland” and “continually plant, weed, and nourish the seeds of divine qualities.” But earlier, wasn’t Wilcox telling the girl that Jesus paid it all? Wilcox’s message, while pithy, does not clarify and instead merely confuses. Suppose a young boy does his chores because he wants to get his allowance. When the mother gives the allowance to him, she says, “I want you to know, I am paying this only because I want to, not because you’ve done anything for it.” The young boy looks confused. Wait a minute, he thinks to himself. If you’ve done everything, why did I have to work so hard? Without saying anything to his mother, I bet that young man won’t work so hard the next time around. “saved from death. This type of general salvation comes to all people by the grace of God alone. General salvation comes regardless of obedience to gospel principles or laws and results solely in resurrection from the dead. In this respect, salvation is synonymous with immortality, in that the resurrected person will live forever. Resurrection comes to every person born into this world through the sacrifice made by Jesus Christ, whether one confesses Christ or not. Whether a person is wicked or righteous, each person will receive the gift of immortality through Jesus Christ” (Theodore M. Burton, “Salvation and Exaltation,” Ensign, July 1972, p. 78). By using the phrase “saved by grace,” Mormonism is not referring to attaining the celestial kingdom, which is what Mormons call eternal life or exaltation and requires complete obedience. This is certainly not the same as what Evangelical Christians hold near and dear to their hearts when they talk about grace. Wilcox makes it appear that Christians believe that salvation by grace (justification) nullifies the need for good works. This is a straw man fallacy and makes an assumption that is not even close to being true. For instance, immediately after Paul says that the Christian believers are saved by grace, not works, in Ephesians 2, he adds that we are “God’s workmanship, created in Christ Jesus to do good works, which He prepared in advance for us to do.” This does not have an antinomian feel to it! Neither does James 2:20 and 26, which says that faith without works is dead. We don’t want to give the impression that good works along with the fruit of the Spirit are not vital for the godly believer; at the same time, we must be very careful in not unnecessarily merging grace with works. Faith by itself (and no works required) equals a right standing before God. Sanctification—or living righteously in a holy manner—is a result of a changed life from the inside out. 3 What does Scripture say? “Abraham believed God, and it was credited to him as righteousness.” 4 Now to the one who works, wages are not credited as a gift but as an obligation. 5 However, to the one who does not work but trusts God who justifies the ungodly, their faith is credited as righteousness. “Salvation comes by obedience to the whole law of the whole gospel. Joseph Smith said: ‘Any person who is exalted to the highest mansion has to abide a celestial law, and the whole law too.’ (Teachings, p. 331.) Thus, a man may be damned for a single sin” (Doctrinal New Testament Commentary 3:256). Can anyone imagine a Jesus not allowing people to attain a “fullness of glory” because they imbibed in a hot drink? Or a single sin that “damns” a human being? (What kind of God is this, anyway?!) This type of deity is certainly not what is portrayed in the talk given by Wilcox. The problem is that it’s impossible to “endure to the end” or do the things that Mormon leaders say must be done. Christians who have faith in Jesus have been totally transformed. As 2 Corinthians 5:17 puts it, “Therefore, if anyone is in Christ, the new creation has come: The old has gone, the new is here!” This work in a person’s life is accomplished before any good works have been performed! The student’s original problem was that she wasn’t able to perform the things she needed to do, as she believed she needed to do based on the teachings she learned in church. In her current state, she knew she was not worthy to attain a celestial glory. As we have seen throughout this review, LDS leaders have made it clear that obedience is mandated. If you fail at playing a note, you must do better the next time. Yet, as this woman admitted, she was not getting better at her notes; she was constantly failing. She, not Wilcox, understood just what is at stake in the Mormon offering. No matter how much he tries to simplify and even gloss over what LDS leaders have taught, the evidence says that a Mormon cannot be merely “content with progress in the right direction.” Instead, when failure happens, a correction must take place. Again, where did these missionaries get their perspective? They study their church’s doctrines for up to two years. When Mormonism is looked at closely, there really is little hope in the teachings of this works-based religion. 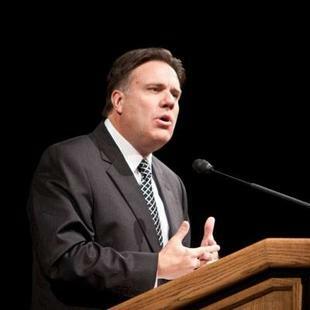 Many quotes from authoritative sources have been provided as evidence that Wilcox’s maneuvering of the LDS gospel does not coicinde with current teaching. It might go over well when Mormons take this speech to their Christian friends and insist that Evangelical Christian teaching is not far off from what is taught in Mormonism. But this is simply just not the truth. The word grace, for example, still means something quite different from the way Evangelical Christians understand it. In conclusion, the Mormon gospel is not synonymous with the gospel as described by the New Testament. While Wilcox doctors up the teaching of Mormonism, attempting to make Mormonism’s grace look as biblical as possible, the differences still make for a wide divide. For more on the topic of salvation, click here. Also check out a YouTube video titled What’s so amazing about LDS grace?